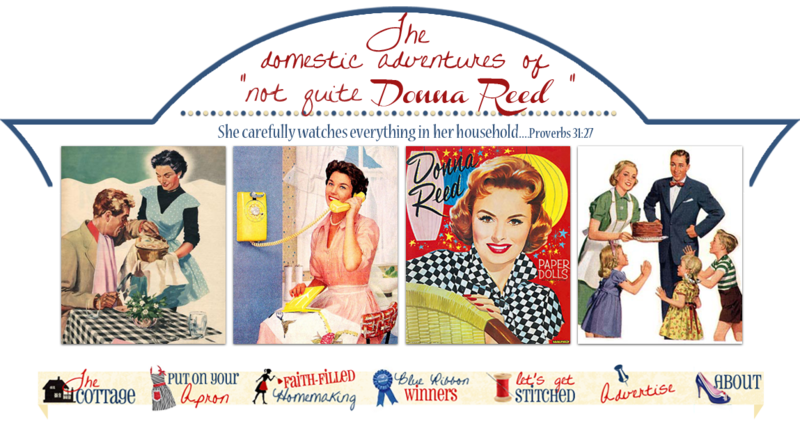 Not Quite Donna Reed: New food adventures! 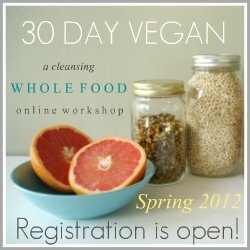 I recently joined Heather's Spring Workshop 30 Day Vegan. I am super excited about this! For the last 2.5 years I have suffered from a painful foot condition called neuritis. It feels like someone is stabbing my toes and upper foot with sharp steak knives all day long! The podiatrist has been helpful, but after seeing him for over a year, I am still dealing with strong bouts of this. All the money on doctor visits, orthotics, and anti-inflammatories are adding up. Not sure I want to do the math there...sigh. Not too long ago I decided to do some research on this and found that chronic acidosis could be the mitigating factor in causing this. I had just read Dr. Furhman's book Eat to Live, after seeing him on a PBS special this winter and became passionate about finding the root of the problem and perhaps curing this with a more natural and holistic approach. I questioned why in the world the doctor had never brought any of these root causes up---I always came back to the answer I have known-- most doctors embrace only Western minded medicine. After an appointment the other day with my podiatrist, he wanted me to take 800mg Motrin every 8 hours and start a drug called neurontin. My former profession was in neurological disorders so I am quite familiar with the drug. The side effects alone scared me half to death! Now, I will resort to a trial of this drug, with a lot of hesitation, after tackling this from the aforementioned angle and if , big if, this neuritis can't be cured or brought under control with a natural/holistic trial. So far I have tried reflexology and have purchased an impressive stash of nerve strengthening herbs to make herbal teas and tinctures to start taking. A dear friend gave me a juicer I can use to make a carrot and spinach juice which is known to be beneficial for this ailment. In my research I also found that deficiencies with the vitamin B group can often contribute to neuritis. Vitamins B2, B6, B12 and Alfalfa are now part of my daily regimen. Heather has a lovely blog full of great advice on nutrition. Our family eats pretty healthy, but the baked goods,even those from scratch, may not be the best choices, ultimately. I am looking forward to learning more about vegetarianism and cooking more tasty, simply whole foods this way. Off to clean the pantry and kitchen shelves of all the little processed food items that have made their way into my working space:-) I know some of you may be saying "everything in moderation", but when your in this much pain...RADICAL is the way to go! I pray it gives you the relief you so need! I'm looking forward to reading your vegan journey, Suzanne. I hope that your cleanse is bringing you lots of relief. A cleanse is a blessed thing, three times a year or so (but those cleansing symptoms can be killers themselves!). You make me crave apple/carrot/ginger juice! I'm sorry you are suffering so with this pain. To deal with my own I became "mostly" vegan in Nov 2011. I do eat fish. I'm also looking forward to your vegan journey. Millet is supposed to be the grain that is not acidic. I've served it like rice and added curry seasoning and crushed nuts. I make vegetable/fruit smoothies in the Vita Mix (with the fiber). In the morning I set soaked beans to simmer and cook some sort of veg and grain for the day. Then my menfolk take what they like and add cheese or chicken that I keep in the frig for them. What I miss most is dairy. I love ricotta cheese - and - of course - homemade ice cream.